The Southern Maryland Sailing Foundation is dedicated to introducing area youth to the nautical arts. Their boats – mostly smaller double-handed sailing dinghies – operate out of the Sailing Center Chesapeake at Tall Timbers Marina. 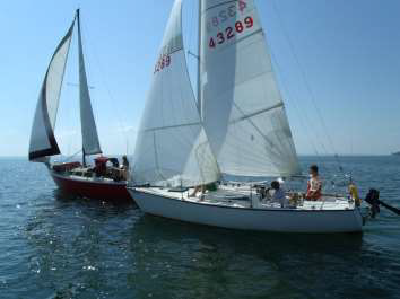 But new to the Center is a Kirby 25 keelboat, the Kraken, which has been sailed by all-youth crews in many of the area’s historic keelboat races. The Kirby was graciously donated last winter by John Williamson of St. Inigoe’s Creek. After his donation, several of SCC’s older sailors—Ethan Johnson, Philip Weiser, Austin Fagan, and Christian Gotsch—asked to sail her in the Governor’s Cup from Annapolis to St. Mary’s City. The boys rose to the challenge, taught extra adult sailing classes to fund the venture, and refurbished the boat, inside and out, just in time to make the race. “The Governor’s Cup was our shakedown cruise,” laughed Mr. Johnson. Kraken finished 10th out of 15 in her class in one of the fastest Governor’s Cups ever. She has gone on this season to come in 1st, 2nd, or 3rd in all of the major races she has entered (Sail 4 Youth, the Wounded Warrior Regatta, the Sharp’s Island Light Race, the Blessing of the Fleet Regatta, the Kinsale Cup, and the Barnacle Cup series on the Potomac). 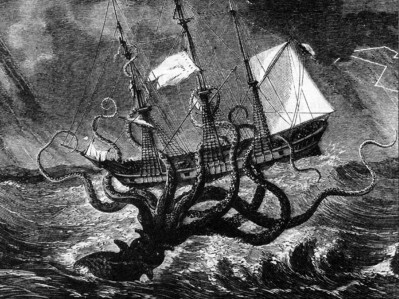 Congratulations to all who have put in their hard work both on the water and off—the Kraken has certainly written a thrilling first chapter in the SCC’s keelboat racing history. Also available aboard the Kraken this summer will be learn-to-sail classes for adults and evening sailing activities, such as dinner cruises across the Potomac. Be sure to check out what’s in store at sailkraken.com and at sailingcenterchesapeake.org!